I just received an e-mail from FlowingData that I just had to share. This simple visual pretty much makes something that some see as complex very easy to understand. 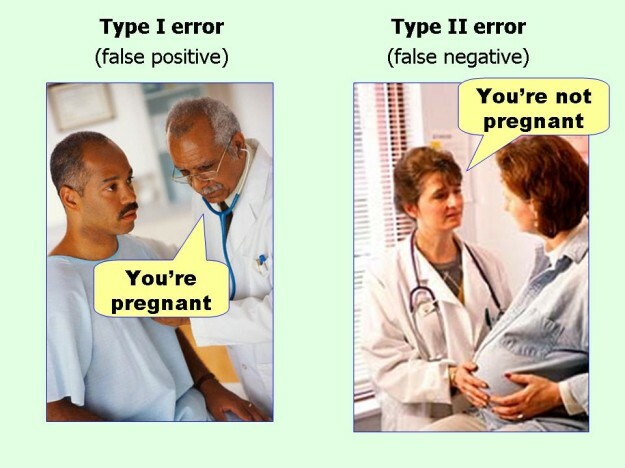 “Type I” and “Type II” errors, names first given by Jerzy Neyman and Egon Pearson to describe rejecting a null hypothesis when it’s true and accepting one when it’s not, are too vague for stat newcomers (and in general).